LOW-BUDGET AIRLINE Ryanair has informed its pilots that they will most likely have to take their annual leave for next year in the first three months, due to limited availability in the summer. In a memo to pilots – seen by TheJournal.ie - the company’s flight operations rostering manager Neale O’Reilly said that the company had slowed its growth projections for next summer, but that the growth would still be substantial. “Which means that much of our pilot annual leave will have to be in the first quarter (January-March 2018) when we have grounded an additional 25 aircraft over the winter period,” said O’Reilly. He said that availability for month off leave between April and September 2018 would be “very limited”. The memo comes following a tumultuous month at Ryanair. The airline came in from strong criticism after it cancelled 2,100 flights between September and October and a further 18,000 between November and March. Ryanair put this down to a rostering issue around having to allocate too much leave in the final months of the year. 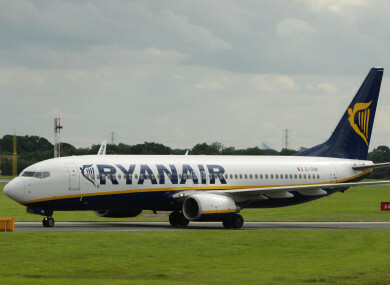 There have been numerous reports that the cancellations are down to large numbers of pilots leaving the airline, but Ryanair has repeatedly denied this. Meanwhile, there have been numerous reports of widespread staff discontent, with pilots demanding improved pay and conditions from the airline. “We once again apologise for disruptions you have experienced to your rosters in recent weeks,” said O’Reilly in the memo. “Please understand we are doing our best to make the necessary improvements to avoid this issue arising again and to ensure that our pilots and customers and not disrupted. We ask you to please bear with us while we hire significantly more rosterers, train up those new people and implement new IT systems to drastically improve the service we deliver to our pilots as we continue to expand the pilot rostering, crew control and base management system. Email “Ryanair tells pilots they will likely have to take all their annual leave in first three months of next year”. Feedback on “Ryanair tells pilots they will likely have to take all their annual leave in first three months of next year”.